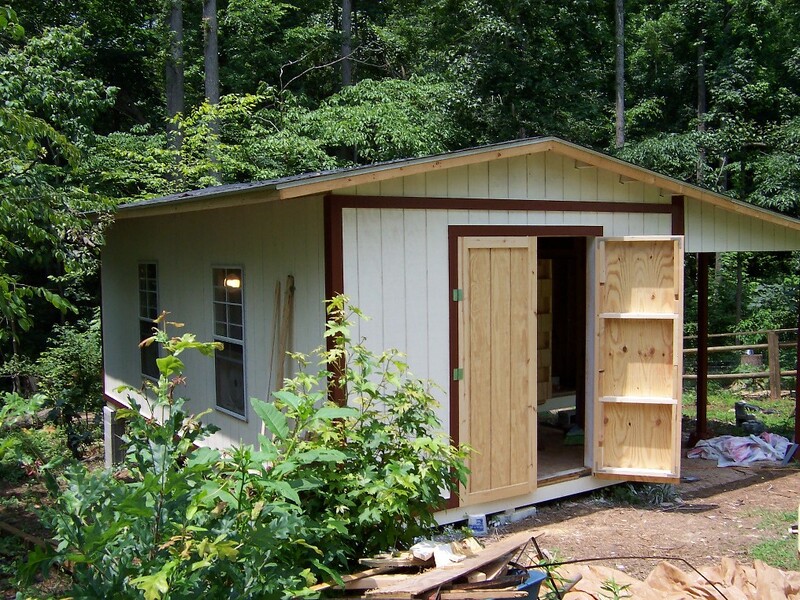 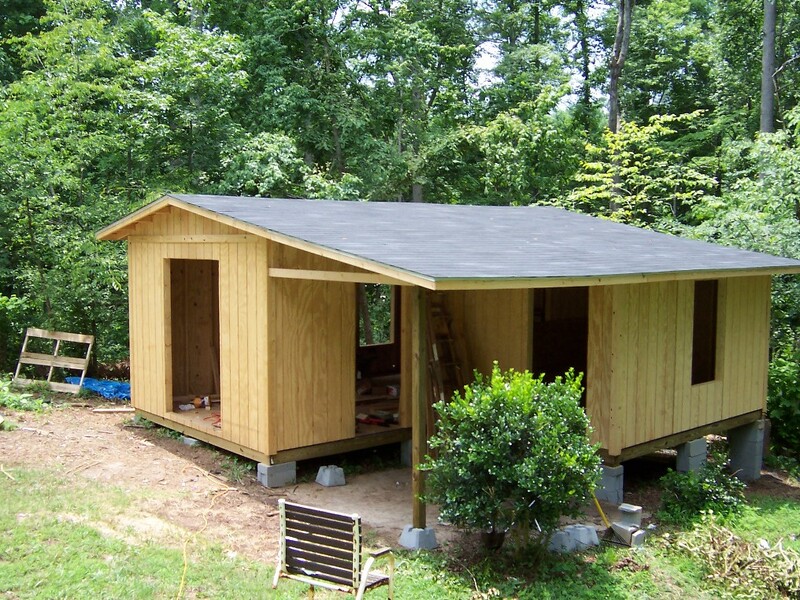 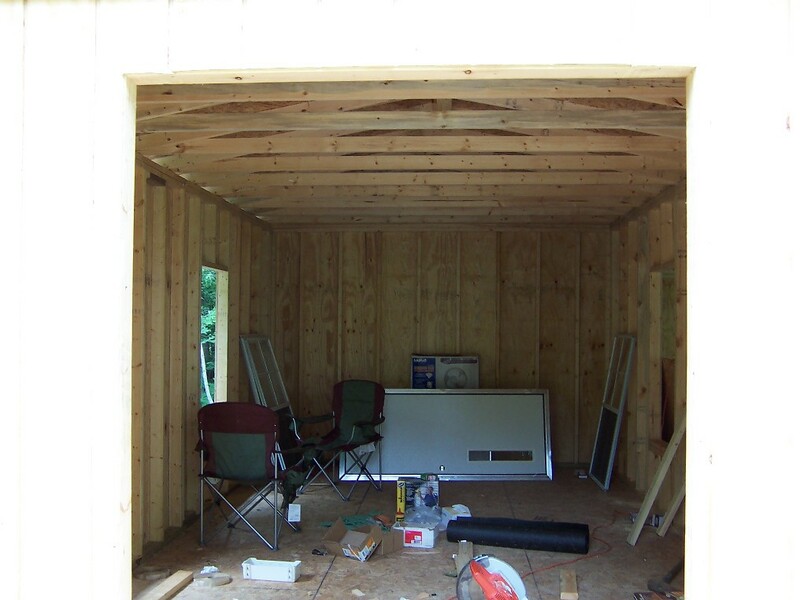 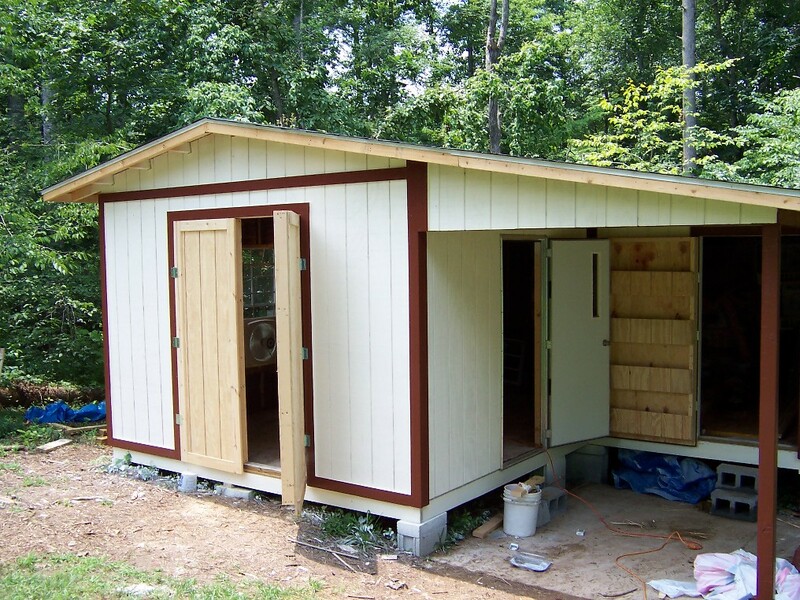 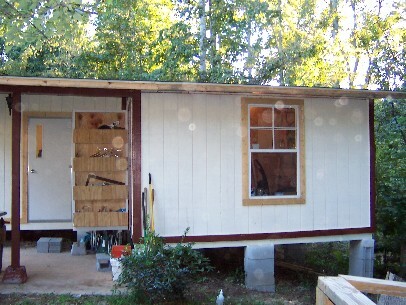 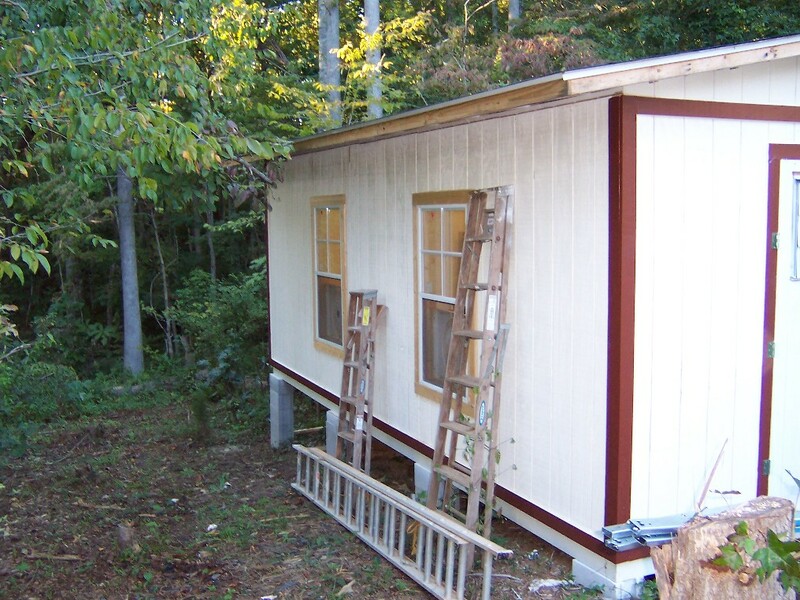 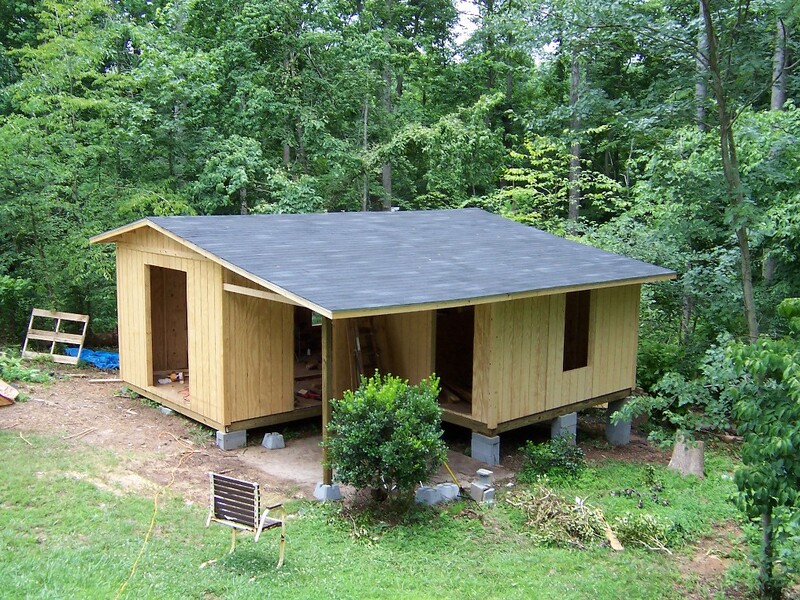 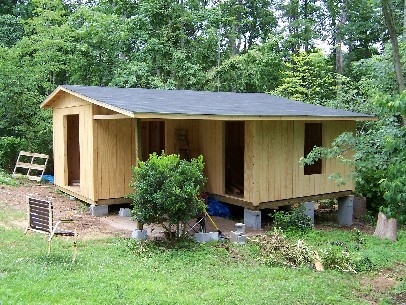 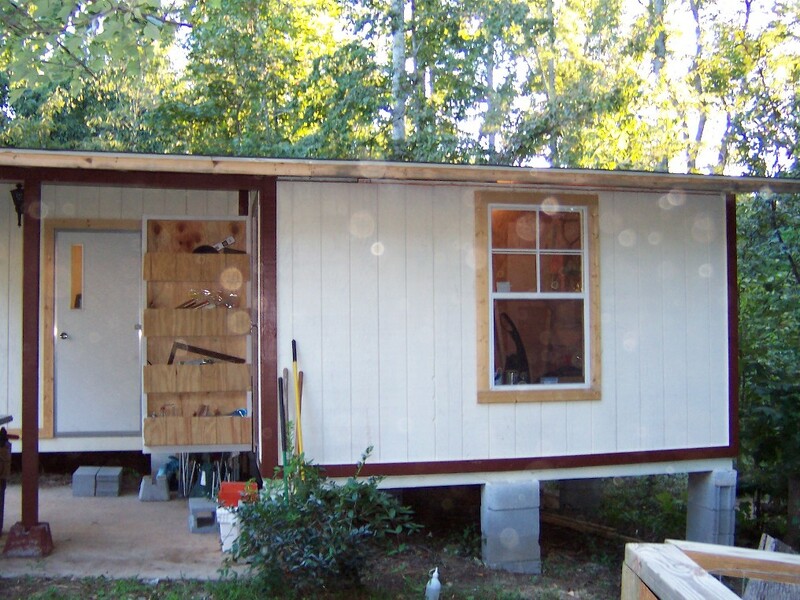 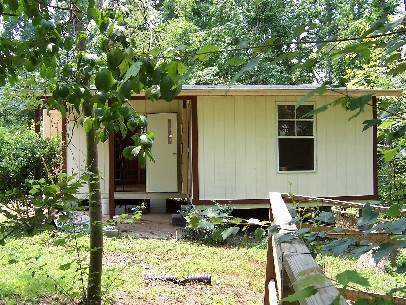 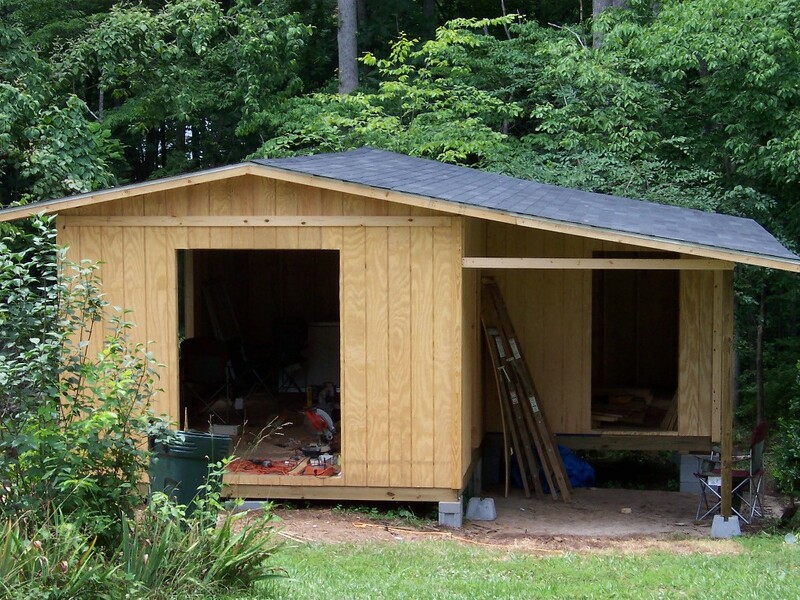 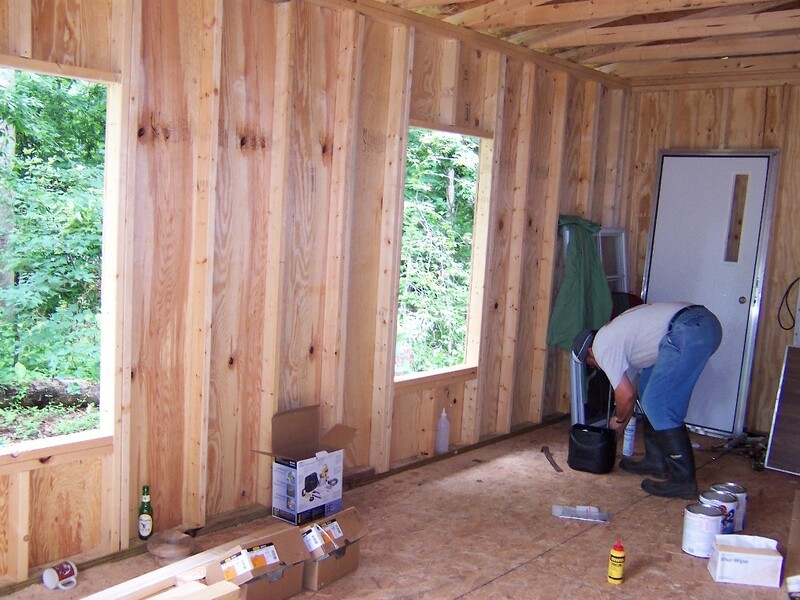 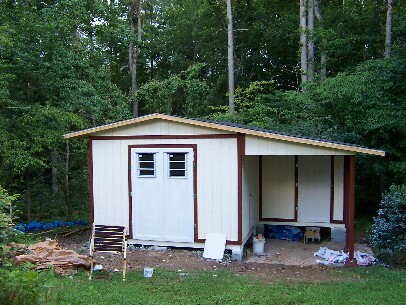 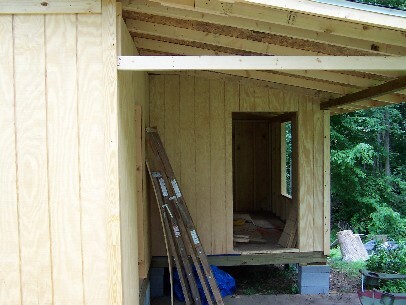 During the Summer of 2004, FGRH took a big step and build a shelter building. 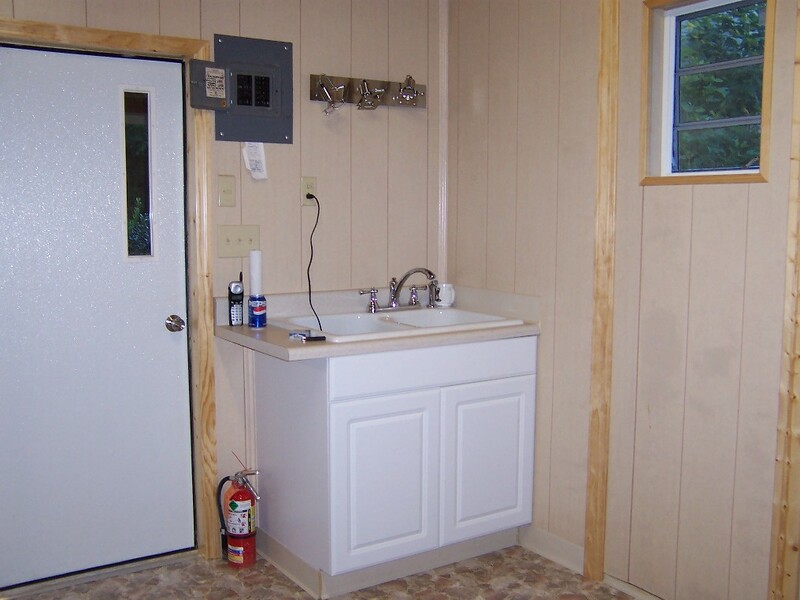 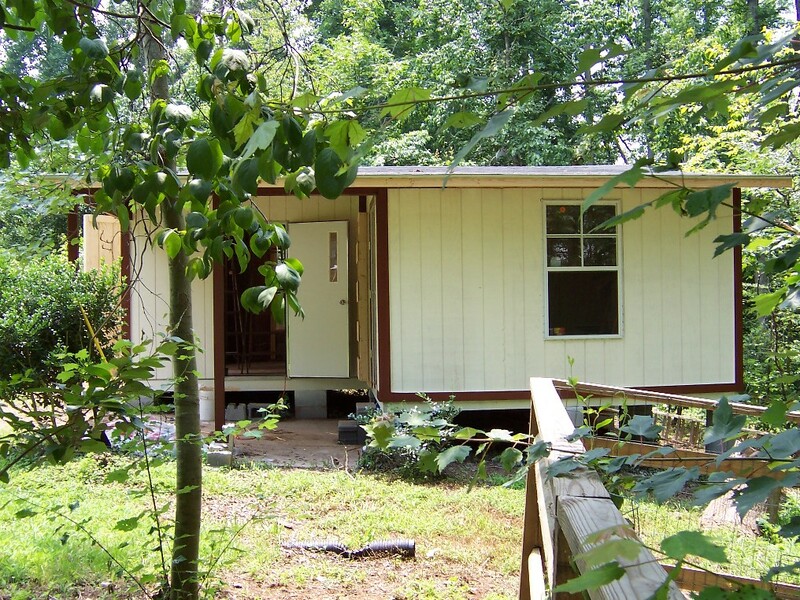 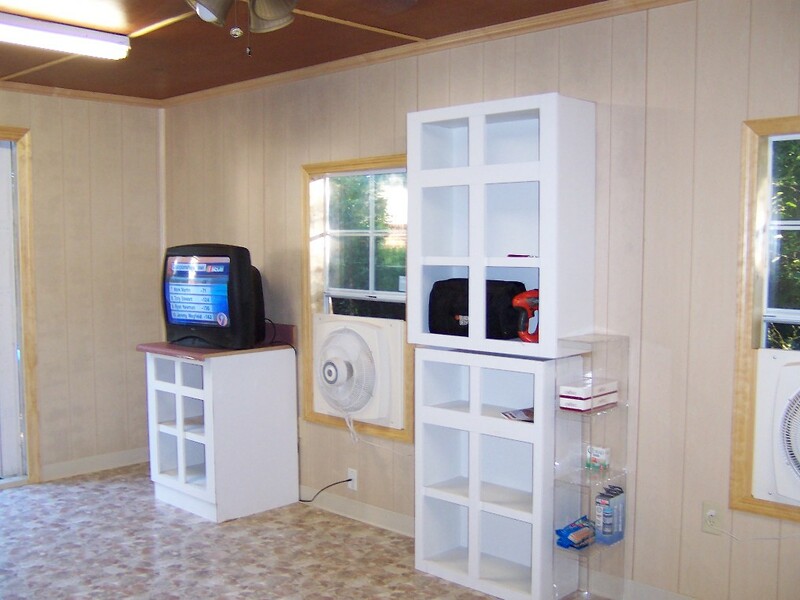 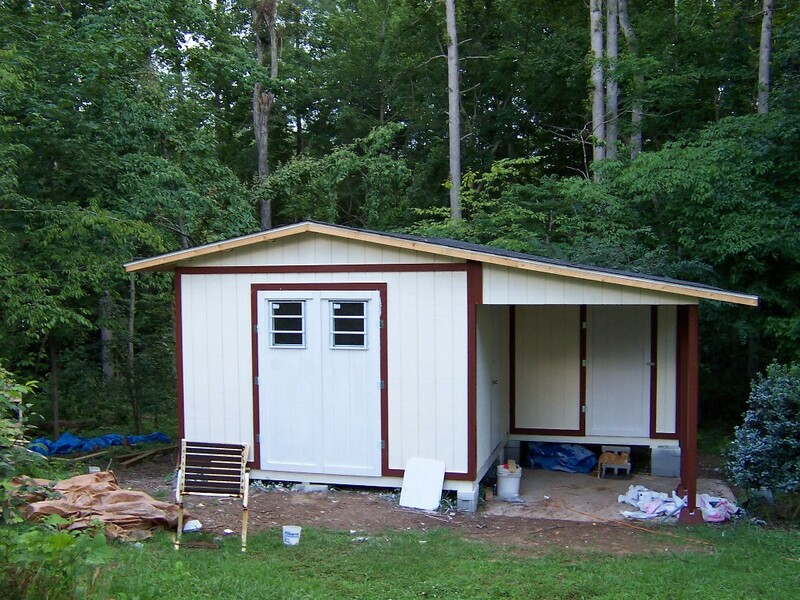 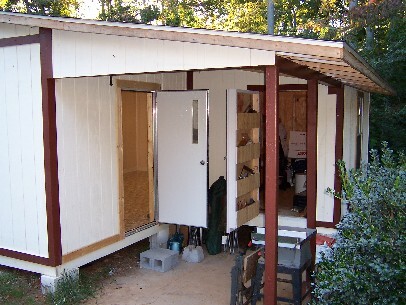 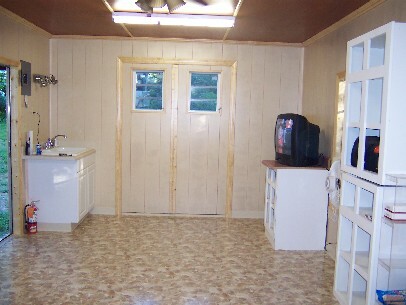 It is a 288 square foot heated building with another 120 square feet of storage. 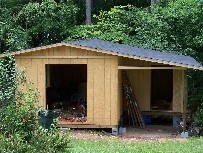 The construction was done by the shelter staff and neighbors. It was completed and occupied during the 1st week of October, 2004. The cost of the shelter now stands at almost $10,000.00. The only additional expenses left are for the insulation under the floor, and a window air conditioner that must be purchased before next summer. 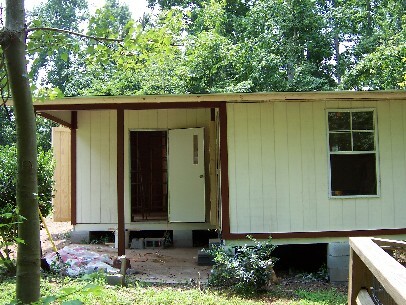 The cost of this building was handled by Diane and Tony Campbell. 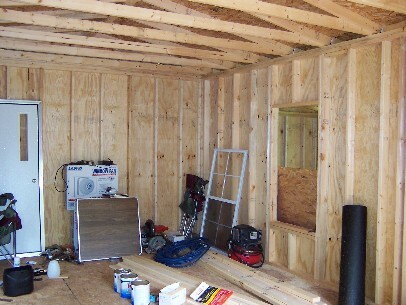 Any donations to help with the items remaining will be greatly appreciated. Enjoy these pictures of the shelter. Construction started in May of 2004 and was completed in October 2004. 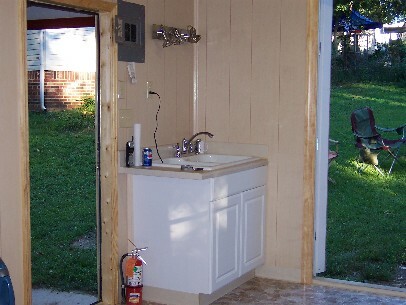 Click on the pictures to see an enlarged version. Well, not exactly completed. 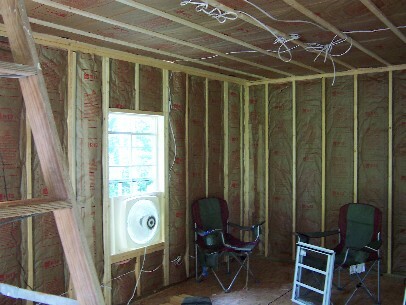 These pictures show that we still need a little paint, and we need to insulate the floor. 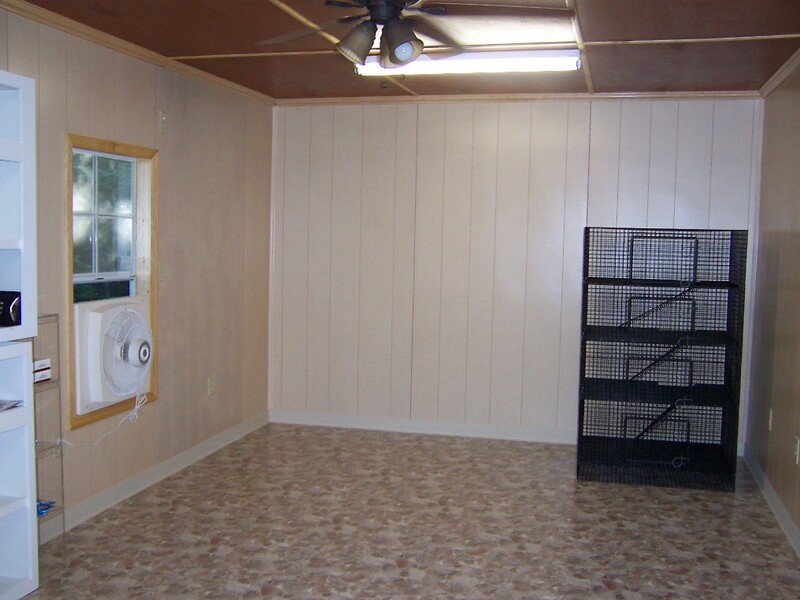 These were taken the day before we started moving ferrets in.